Everyone will know you name with these Guardians of the Galaxy Star-Lord Sun-Staches! 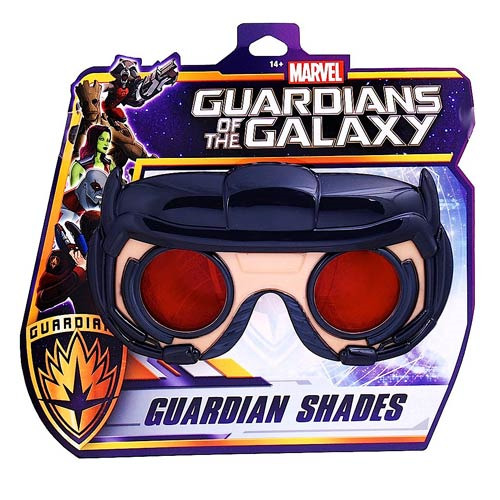 Become Peter Quill with these awesome guardian shades features the Star-Lord's signature goggles. Join the other guardians as they save the galaxy with these Guardians of the Galaxy Star-Lord Sun-Staches. One size fits most and all Sun-Staches provide 100% UV400 protection. Ages 13 and up.